Have you ever thought that in the world of Minecraft, where there are dozens of different types of materials to make something that can hold water, you have to go through … a bit too much to make a bucket of water not? Why not simply take a log, cut into a wooden bucket to draw water instead of going through the trouble to make a furnace, find iron, coal? Anyway, you just need to draw water do a single plot of land. 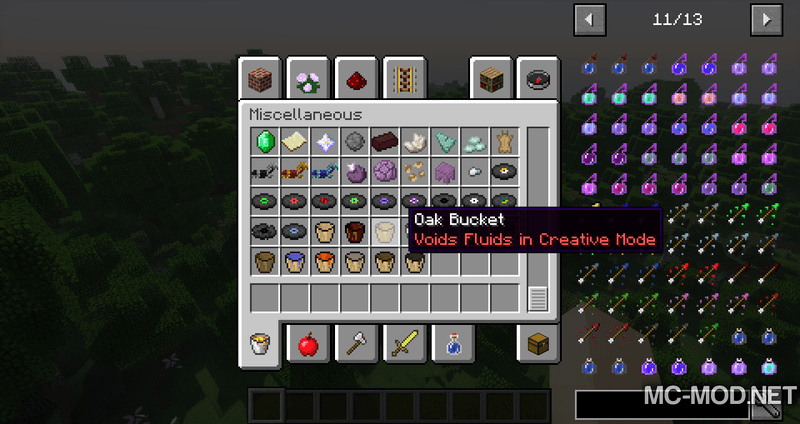 Since Minecraft Vanilla doesn’t have wooden buckets, Wooden Bucket Mod 1.12.2/1.11.2 for Minecraft is made to provide just that! 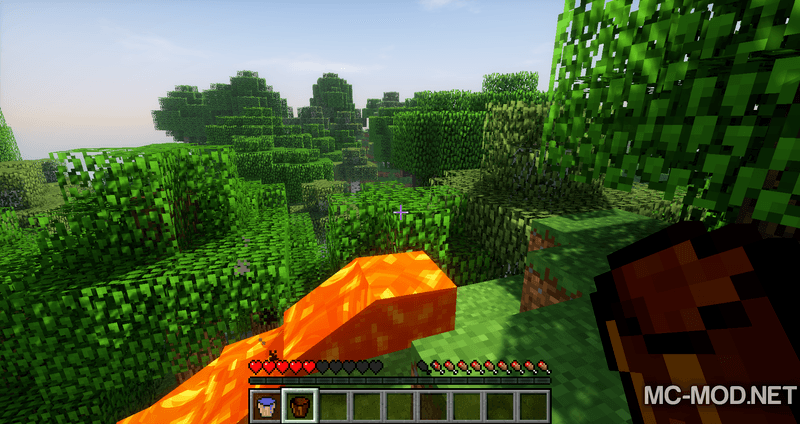 Minecraft is a survival game where players must harness all of their abilities and knowledge to fight back against nature. Many mechanisms have been refined and balanced by Mojang – the game developer. However, sometimes they overlook some shortcomings such as if players need to build a rice field to get food at the Early-Game, they had to make a bucket using mid -game material. 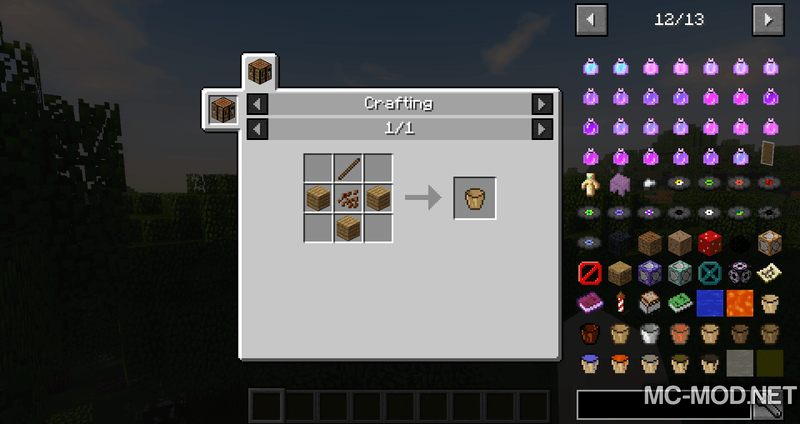 With Wooden Bucket mod, players can craft wooden buckets from various types of wood. 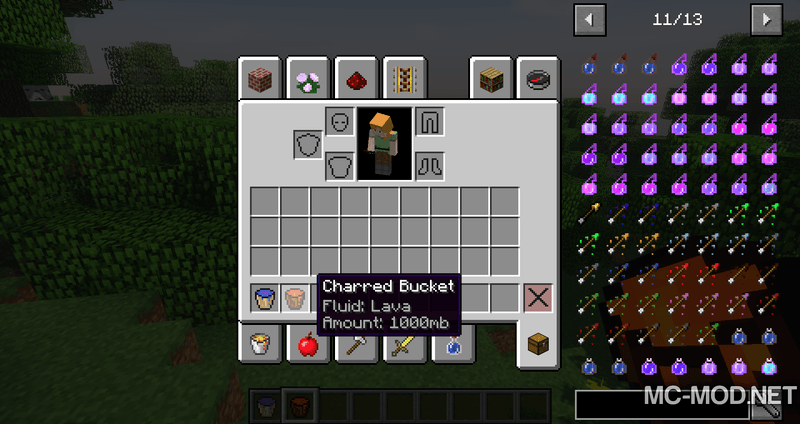 These buckets act as a normal bucket but of course there are limits to it: it can draw water, but when a player uses a wooden bucket to draw lava, the bucket will burn inside your inventory and make you catch fire, if the lava is poured out then your bucket cannot be used anymore! 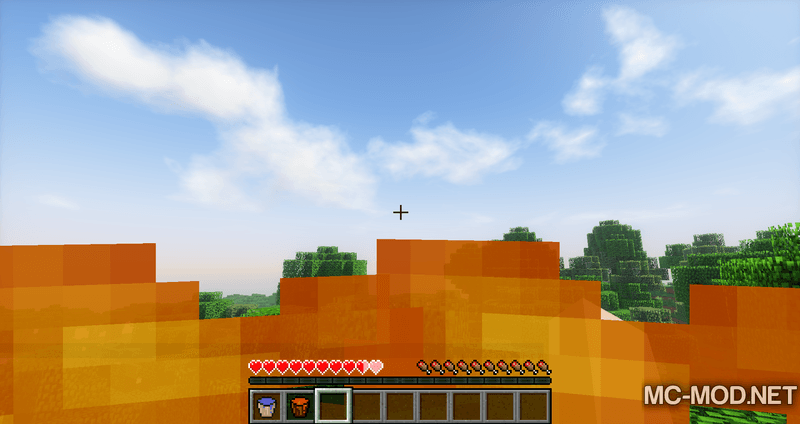 Wooden Bucket requires Forge Mod Loader, VE-Fluid Handling, and Minecraft 1.12.1, 1.7.10. Download Forge Installer, VE-Fluid Handling, Wooden Bucket.jar file.